Taking the Proper Steps After Stem Cell Therapy - Piedmont Physical Medicine & Rehabilitation, P.A. How Will I Feel After Stem Cell Treatment? 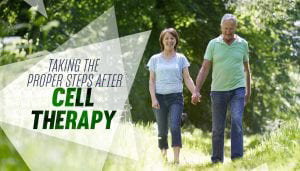 Generally, there is little to no recovery time after Stem Cell Therapy. If a patient’s job is not physically demanding, they may not need any time off work. We do recommend, however, that you don’t overdo it. In many cases, it wise to simply go home and rest afterward (this is especially true for both adipose and bone marrow derived stem cell procedures). Depending on what type of Stem Cell Therapy procedure is performed (whether it be adipose-derived stem cells, bone marrow-derived stem cells or placental-derived stem cells), patients most often walk out of our office with no complications or discomfort and continue with their daily activities. For patients who undergo a bone marrow extraction, a few days of soreness and tenderness around extraction area may follow the procedure. With adipose-derived stem procedures, expect bruising from the harvest site to last or several days to weeks. Like bone marrow aspiration, the first few days is probably the most amount of time that a patient will feel pain. When returning back to your daily activities and progressing to do more as the weeks go by, always remember that pain is an indicator for reaching your limits. During this time, you may perform light exercises, like going on an elliptical or biking, but we recommend avoiding heavy weight bearing activities. 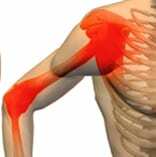 If you do an activity or move in a way that causes pain, then slow down or stop. Patients usually experience no complications when jumping back into their daily routines, but that doesn’t mean they should ignore what their body is telling them. You need to work at a pace that allows your body to heal and recover properly. Don’t test the limits of your body’s capabilities – let the body tell you what to do. On top of listening to your body, you also have to be able to provide for it. If you’ve committed to receiving a stem cell treatment and spent the money to perform it, then why not do everything possible to make sure it works? Those who are interested in Stem Cell Therapy will benefit if they also focus on improving overall health and recovery. Patients have a 90-day post-procedural window to provide any advantage they can and do whatever it is they can to aid their stem cells. If you decide to get a stem cell procedure done, then it’s time to muster up the attitude and rehabilitate the body as well – for example learn how to reeducate those muscles that are is inhibited, stretch what is tight, and strengthen what is weak. The goals are to regenerate the site of injury or damage, restore function of the grafted site and its associated structures, and improve the quality of life. So don’t be surprised if your doctor has further recommendations that may help. 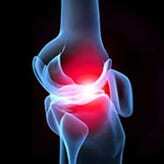 As these rehabilitation steps are accomplished, pain-free activity should increase. Typically, after 2 weeks we will see you on a follow-up visit. We will evaluate your progress and tell you if additional or more aggressive care is needed. In an ideal world, a Stem Cell Therapy treatment will have reached its full potential within 90 days, or 3 months. It’s during this time that we will work most closely with the patient to help ensure that they get the greatest improvement possible. If you’re ready for Stem Cell Therapy or want to see if you’re a suitable candidate, call us at 1-864-235-1834 or contact us here. Or, to learn more about Stem Cell Therapy, click here.